Thrive Architect Review and Tutorial Video – Is this plugin worth it? Hello everybody, How are you feelin today? I thought I would stop by and do a Thrive Architect review being that is has helped me take my web design to another level. First of all, let me make this clear. I am not a web developer or even a web designer, but with Thrive Architect it has made me look like a professional web designer. I would like to show you a step by step tutorial of me making a website with this amazing plugin. Now I know there are some competitors out there when it comes to page builders, such as elementor and beaver builder. Here are some differences when it comes to Thrive Architect Plugin vs Elementor Plugin. Elementor is a WordPress page builder and has become very popular for those that are looking to create a website without coding or any web design experience. Elementor has the reputation of being the most full featured page builder and it is free. It is also very user friendly and can be easily masted by a novice. It also comes with elementor themes, elementor templates, and ou can find an elementor review on youtube. Beaver Builder is a nice WordPress page builder and has become very popular amongst those that would like to build their own websites. It is known to be very user friendly and has very reliable updates. Beaver Builder is being used on over 600,000 websites and an amazing site builder. If this WordPress Plugin lacks in an area it would be its' ability of having modern features for web design. Unlike TA it doesn't have hover effects, gradients, or even box shadow, but it still can make your website look very nice. It also comes with Beaver Builder Add ons, Beaver builder theme and you can find beaver builder videos on youtube. Thrive is a WordPress page builder that focuses on those that are using their website for marketing purposes. This Powerful WordPress plugin is made by Thrive Themes and has an amazing support structure. 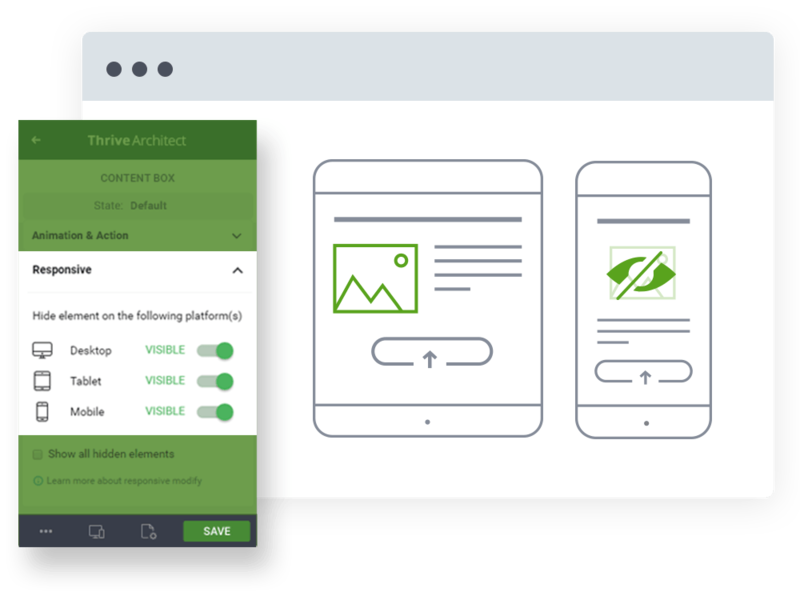 Thrive Architect is formally known as Thrive Content Builder and is the product I used when I first started building websites. 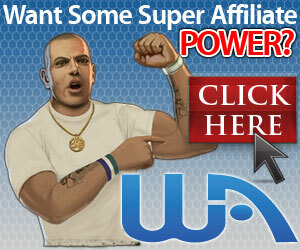 The website your on now has been build with the this amazing plugin. I must say that the tutorial and videos that Thrive Themes puts out are very helpful. Not only that but Thrive Themes gives their customers free updates, so you don't have to keep paying to keep your product updated. What Makes This plug in Different? 267 beautifully designed and 100% conversion focused landing page templates that come bundled with this Amazing plugin. It’s simply the fastest way to create professional looking sales pages, opt-in pages, webinar pages and more, that are instantly publishable yet still completely customizable. Replace a dozen plugins thanks to our conversion focused elements, built right into this WordPress Plugin. Includes infinitely customizable buttons, testimonials, countdown timers and lead generation forms that integrate with your favorite email marketing tools. Your homepage is probably one of the most visited pages on your site. Is it making the impression you want it to make? Is it engaging visitors and boosting your conversions? With TA, you can use one of our templates or build a beautiful, professional looking homepage or improve the layout on your existing homepage by adding things like columns, horizontal opt-in forms, a stylish gallery of your blog posts, social share icons and more. Sales pages are the bane of WordPress users. If you’ve ever tried to build a sales page using the WordPress editor, you know for sure that it wasn’t made to build the kind of layout you need on a sales page. And never mind the layout, what about the copy!? Fear no more, TA comes with everything you need to build stunning sales pages. And what’s more, we’ve even included tutorialized sales page templates that make copywriting fill-in-the-blanks easy. Every online business needs a larger mailing list. That’s why we provide you with dozens of optimized landing pages you can use to present your free offers and grow your mailing list. Many a successful startup began with a simple landing page to get leads and validate a business idea. That’s exactly the kind of page you can create with TA, in record time! Blogging is evolving and if you want to keep up, you can no longer just write a wall of text and post it. Clever content marketers have long known that well formatted content, including things like highlight boxes, styled lists, images and other media, click-to-tweet quotes and more, get much higher engagement. That’s why we’ve included all of those elements in the TA toolbox. Want to create a column layout? Easy: just drop elements next to each other. No special column container, row, segment section or whatever else needed. Want to change the layout, easily add, remove and drag-and-drop resize columns anytime. 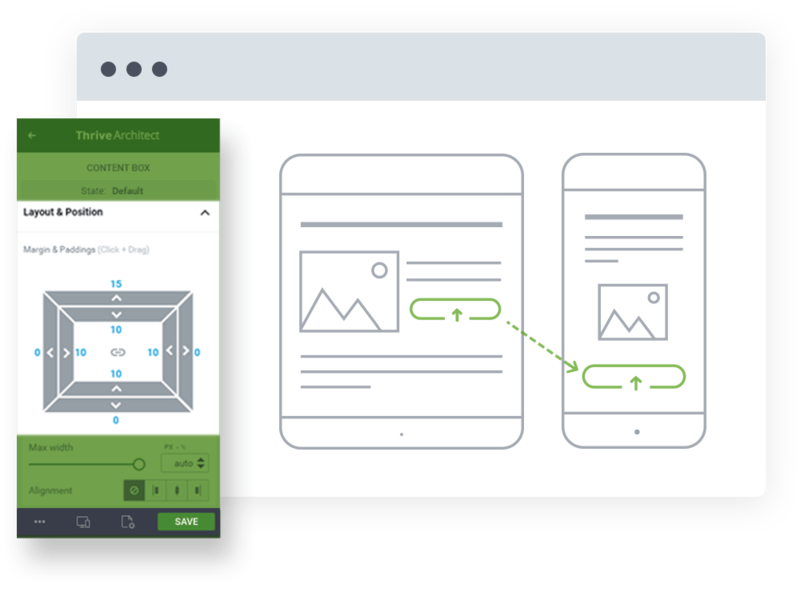 often difficult to read, we’ve made it extra easy for you to add colored overlays or gradient overlays to your images. This way, you can add your brand colors to images and make the text really pop! With TA you have total control over typography. Thanks to our typeface options and access to over 700 custom fonts, you can create beautiful, poster- and magazine-style text layouts, make your titles stand out and give your site “uniquely you” look. 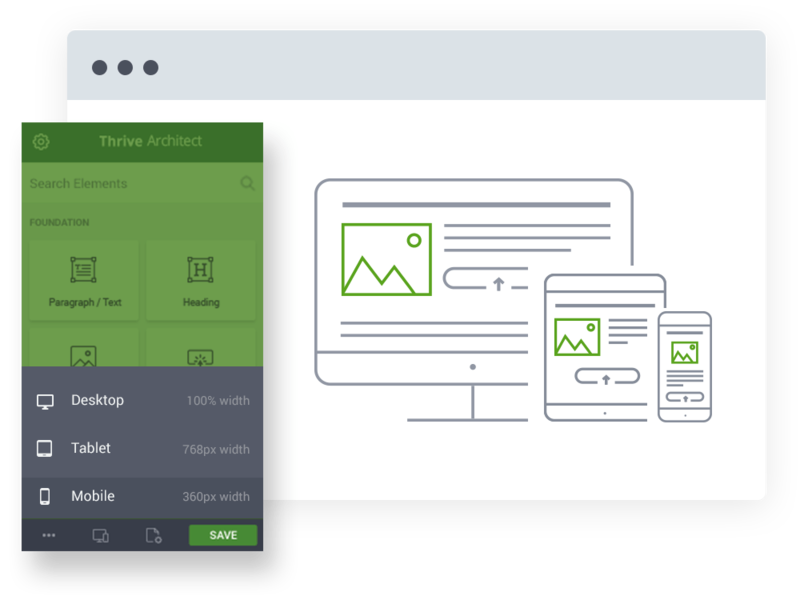 Create a background that spans the entire screen width – no matter which theme you use and no matter what screen your visitor sees your content on. Create vertical split layouts for an added wow factor. You can easily apply hover effects to all elements. But we’ve taken it a step further: you can even apply hover effects to everything inside a container element, on hover of that container element.